Designers design clubs in line with a model concept by utilizing data feedback derived from robotic trial-hitting sessions, radar-based trajectory analyses, and other forms of scientific testing. 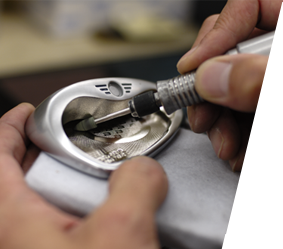 While the basic approach yields precise designs based on the use of a CAD system, there is nothing better than an artisan who knows everything there is to know about clubs when it comes to applying the crowning touch to a masterpiece. A metal mold is produced. This is what we focus on when we create clubs bearing the Honma name. A seasoned artisan grinds an iron head in conformity with an ideal form as defined by designers. 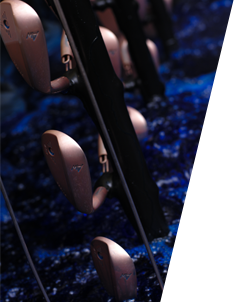 Our own plating factory is harnessed to rise up to the challenge of applying new types of plating, such as black nickel plating and pink-gold plating, to iron heads. 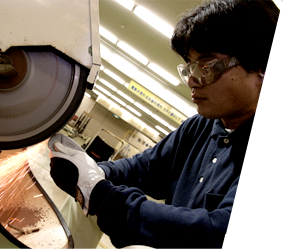 A router is used to polish all parts of the iron head, including the inside reaches of the cavity pockets. 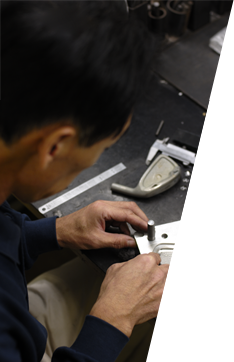 This sort of approach reflects the insistence of Honma on producing a stunning finish. 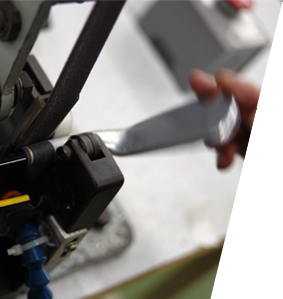 A grip is inserted precisely with machine, adujusting the position by a sensor light directing. After this is done, an artisan will grasp the grip with his own hands to visually check the back line that is formed. 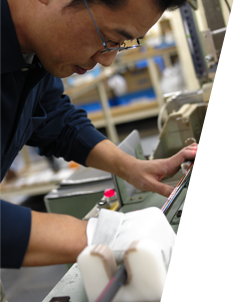 This is how processes are optimally carried out at Honma. A mark on the shaft and the direction of the head are brought together in a straight line. 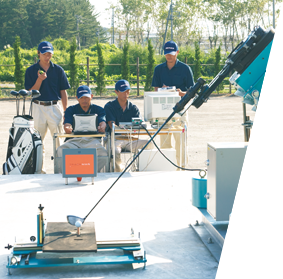 Proprietary machinery based on the use of a laser to join these components is HONMA original. 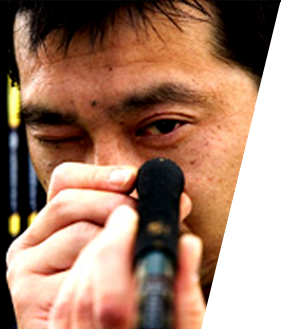 An artisan carefully polishes the ferrule that links the head and shaft to one another. 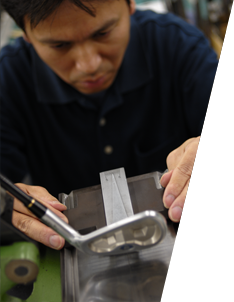 While a ferrule does not directly affect the flight of a ball, this process reflects the extent to which the pursuit of quality is of great importance to Honma. The lie and loft angles of an iron club are rigorously checked through the use of a dedicated gauge upon which the club is placed.